^ 澳洲大洪水造成儒艮(dugong)滅絕危機. PanSci 泛科學. 2011-10-01 [2017-03-09] （中文（台灣）‎）. 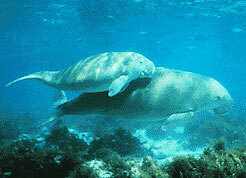 Dugong dugon. Integrated Taxonomic Information System （英语）.